Harry C. Stine was born on 20 February 1864 in Shenandoah, Schuylkill County, Pennsylvania. He married Charlotte Haeberle, daughter of Georg Häberle and Charlotte Walz, on 24 January 1894 in Niagara Falls, Niagara County, New York, at South Avenue & Tenth Street, at the home of the bride's parents. The following appeared on 25 January 1894 in the Niagara Falls Gazette: One of the prettiest home weddings which has taken place in this city in some time was celebrated yesterday afternoon, when Miss Charlotte E. Haeberle, daughter of Mr. and Mrs. George Haeberle, was married to Mr. Harry C. Stein [sic]. The affair took place a the home of the bride's parents, corner of South avenue and 10th street at 5 o'clock in the afternoon. The parlors of the house were handsomely decorated with flowers, potted plants and palms. Smilax was trailed from the chandeliers and the scene was a brilliant one when the bridal party came down the stairs and made the entrance from the sitting room before the large assemblage of friends of the young couple. Miss Lottie Nussbaum, a cousin of the bride, played Mendelssohn's wedding march. The ceremony was performed by the Rev. J. H. Asbeck of the German Lutheran church, the bride and groom standing amid floral decorations in the center at one end of the parlor. The handsome bride was attired in a beautiful gown of white silk and carried white roses. The maids were the sister of the bride, Miss Carrie Haeberle, and Miss Margaret Seitz. They were attended by the ushers Messrs. Louis W. Swan and Daniel Reickofs. The bridesmaids also wore charming white gowns and carried roses. Following the ceremony an informal reception was had and a wedding supper served. Mr. and Mrs. Stein were the recipients of many handsome and costly presents, and their married life starts out most auspiciously. The bride has been a life long resident of this city, is a young lady of high social standing and one having many friends to wish that her future life may be happy. The groom is the well-known clerk in Philpott & Merriam's drug store. During his residence at the Falls he has made many friends, who today rejoice with him and wish him a life of happiness and prosperity. Mr. and Mrs. Stein started on a wedding journey to Philadelphia, followed by the good wishes of all their many friends. Upon their return they will be at home on South avenue after February 10th. Among the guests from out of the city present were: George Vogt, and George Eberhardt of Buffalo; Mr. and Mrs. Martin Schacht of Chippawa, and Mr. Fred Ives of Tonawanda. Harry C. Stine appeared in the US federal census of 1 June 1900 in Niagara Falls, Niagara County, New York, at 1109 South Avenue. Other members of the household included George Haeberle Stine. He was a druggist, according to the 1900 census. The following appeared on 26 June 1906 in the Niagara Falls Gazette: The first session of the 28th annual convention of the New York State Pharmaceutical Association opened in the old dining room at the Cataract House this morning with a very good attendance. . . . Eugene Laurier, one of the local pharmacists, and president of the local branch of the State Association, welcomed the delegates. . .
Harry C. Stine and Charlotte Haeberle appeared in the US federal census of 15 April 1910 in Niagara Falls, Niagara County, New York, at 723 Division. Other members of the household included George Haeberle Stine. He was a druggist, according to the 1920 census. Harry C. Stine and Charlotte Haeberle appeared in the New York state census of 1 June 1915 in Niagara Falls, New York, at 723 Division. Other members of the household included George Haeberle Stine. Also in the household was one female domestic servant. He was self-employed as a druggist, according to the 1915 census. Harry C. Stine and Charlotte Haeberle appeared in the US federal census of 1 January 1920 in Niagara Falls, New York, at 723 Division. Other members of the household included George Haeberle Stine. Harry C. Stine became a widower at the 15 November 1922 death of his wife Charlotte Haeberle. Harry C. Stine died on 6 June 1924 at age 60 in Niagara Falls, New York, at 723 Division. 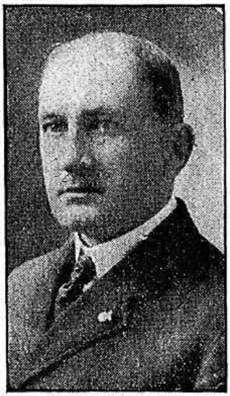 The following appeared on 6 June 1924 in the Niagara Falls Gazette: Harry C. Stine, aged 60 years, veteran north end druggist, a member of the Niagara Falls common council for nine years and a former major league baseball star, died at his home, No. 723 Division street, at 5:22 o'clock this morning, following a general breakdown in health aggravated by a fall down a stairway in his home recently. Mr. Stine came to Niagara Falls 32 years ago and has resided in this city since that time. He is survived by one son, Dr. George H. Stine of Colorado Springs, Colo., and two brothers, Nelson and Jonas Stine of Pennsylvania. His wife, Mrs. Charlotte Haeberle Stine, died in November, 1922. Harry C. Stine was born in Shenandoah, Pa., on February 20, 1864, and spent his early boyhood in his native city, going to Brooklyn in the early eighties where he won fame as a pitcher with the Brooklyn baseball club of the National League for several seasons. During his baseball career, Mr. Stine gained the distinction of defeating the famous Chicago "White Sox" of which Billy Sunday, and the late "Pop" Anson were members. He was a teammate of Sidney Farrar, the father of Geraldine Farrar. Coming to Niagara Falls in 1892, Mr. Stine obtained employment in the old Cole and Marriam drug store at Main and Ontario streets, now occupied by a Harvey and Carey store. At that time, he continued his baseball pitching, joining the Niagara University team of which he was a member for several seasons. In 1899, Mr. Stine, in partnership with the late Thomas Duffy, opened the drug store at No. 2108 Main Street. [:TAB] Ill health forced Mr. Duffy to retire from the business in 1903, when Mr. Stine purchased his interest and continued as sole proprietor of the store until his death. Mr. Stine was a Republican in politics, and won high favor in his party councils, serving from 1898 until 1907 as a member of the old common council. In 1906 he entered a three cornered contest for mayor of the city and was defeated after a memorable contest by A. C. Douglas. Mr. Douglas' plurality was 75 votes. Mr. Stine has also served as a member of the Republican state and city committees. He was prominent in fraternal circles, being a 32d degree Mason, a member of the Knights Templar, of Bellevue Lodge of Odd Fellows, the Niagara Falls Lodge of Elks, the Knights of Pythias and the Ongiara club. The funeral will take place from the family home on Sunday afternoon at 2:30. The body will be placed in the mausoleum at Oakwood.